As the UK plans a referendum on Scottish independence, those of us watching from Spain can only look on in envy at the orderly and civilised process led by the Secretary of State for Scotland. Here in Catalonia, Northern Spain, similar demand exists for an independent state, but the two sides have chosen indignation and confrontation instead of a serious debate. The last two years have been tough for all EU governing parties and Spain has unique problems, with its sky-high unemployment levels, corruption and a rickety banking system. But this month Catalans will go to the polls in a general election called for entirely cynical reasons. Catalonia is ruled by a Liberal Democrat sister party, Convergència Democràtica de Catalunya (who is in permanent coalition with Unió to form CiU). However, in its reaction to the economic crisis, the Catalan government has proved itself unworthy of the Liberal label. While there is obviously an urgent need for public sector cuts in all regions of Spain, CiU has chosen to hit public health and education particularly hard. Meanwhile, one of its first acts when elected was to abolish inheritance tax, costing 102 million euros per year. CiU has time and again demonstrated its ‘true blue’ conservative instincts to entrench privilege for the rich. The proposed independence referendum gives CiU the perfect excuse to deflect questions on its own record in government. President Artur Mas has been able to shed the image of a ruthless cutter and protector of privilege and present himself as the voice of a repressed nation. So far so cynical. From Madrid we have a mixture of reactions. Some have chosen to stick their heads in the sand – a referendum of this nature isn’t permitted in the constitution and therefore cannot happen. Others have taken a hard-line approach, with sections of the army voicing their willingness to send in the troops if necessary. Neither reaction is helpful. In the long-term Spain cannot deny its people the right to self-determination. Adding fuel to the fire is that in the Spanish government, run by the Partido Popular, we have the worst kind of unreconstructed right-wingers. The PP seems obsessed with trying to reverse the liberal reforms enacted by the previous Socialist government. While they just lost a case brought before the Constitutional Court to reverse right of gay couples to marry, they still have a change in the abortion law within their sights. All this means there are few people making a positive case for Spain. While many Catalans have allowed themselves to get carried away with the idea that with independence all their problems would be solved, few cool heads are on hand to point out the economic and political risks inherent in such a move. Business leaders pointing out that an independent Catalonia, obsessed with authoritarian language politics, will be unattractive to foreign investment are largely ignored. It’s sad to see Spain’s political class continuously failing to serve the interests of the people. Either they’re manipulating the hopes and fears of the voters to deflect attention from their own failings, or they are ducking difficult decisions that might actually do the country some good. I live in hope that we can emulate the Scottish desire to have a full debate on the real pros and cons of independence before a monumental and irreversible decision is taken. 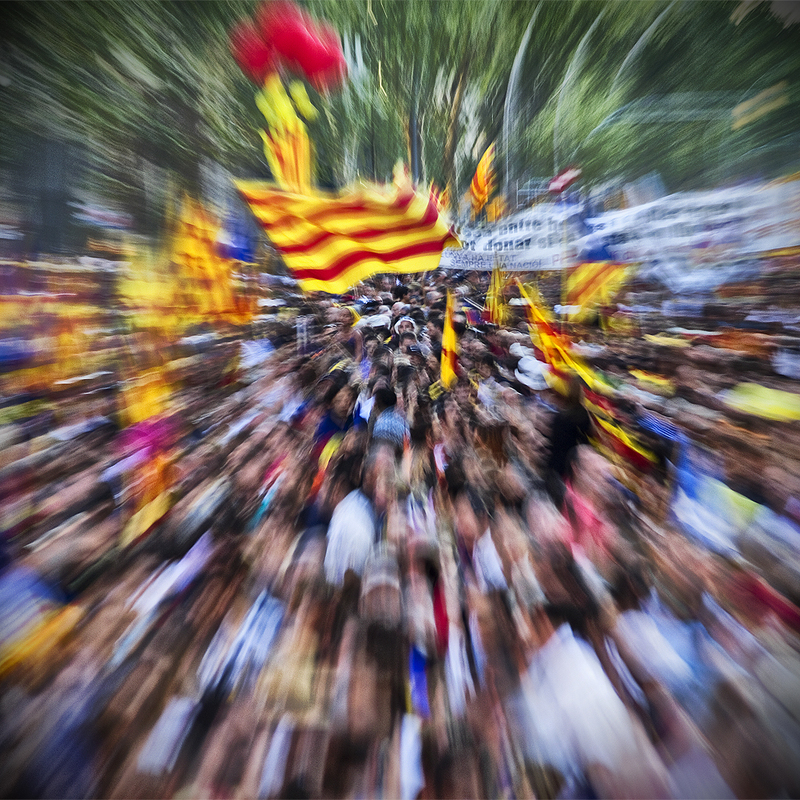 Read more by Martin Petts or more about catalonia, featured, independence, Scotland or spain. The whole debate overlooks one very important point. Independence for Catalonia or Scotland will mean leaving the EU and applying as a new member, and membership is by no means guaranteed as it must be approved unanimously. Spain will veto Scotland because of Catalonia and the Basque Country, anyone else might easily veto Catalonia, and anyway, accession of any new state requires a referendum in France. There is no doubt at all about this (see here: http://www.barder.com/3804) so it just won’t happen, however much Mas and Salmond huff and puff to thjeir respective voters. And, despite Catalan paranoia (eagerly fed by the financial markets) as in your quote, the days have long gone when a Spanish lieutenant-colonel could make a credible threat. It’s 30 years since Tejero tried and failed spectaculalry. As I go to the country on a regular basis, I understand the hardship and the need to have some stable situations. It is very easy to make comments, but all I hear, and see, is a country with problems that need to be resolved. Peter Harvey. Scotland will not be removed from the EU as long as both Scotland and the majority of EU members wish it to be a member. That is the realpolitick of the matter. Everything else is unionist propaganda. That independence will be very difficult, will be traumatic, and will be damaging in the short term is something we all are aware of. Every secessionist politician mentions that there will be difficulties to overcome, and that prosperity will take time and hard work, but the madrid press always chooses to omit that, reporting only the positive predictions giving an image of us wearing rose-tinted goggles. Fear not, we are not being sold magic fixes, we are being sold a promise of hardship and hope. Well, one thing is true, we do want all of our public schools to be primarily in Catalan. Is that so strange? It’s our language. Spanish is also our language, but here, it’s secondary. I guess this is the unacceptable part. Spaniards cannot tolerate their language being second to a regional one that should by rights be a cute folkloric thing, instead of the main language. I’m primarily a Spanish speaker, so my first language is Spanish, and my second is Catalan. This does not present a conflict with the fact that the language of this place is Catalan. The use has been diluted by massive immigration encouraged by Franco, and the Catalan government has always aimed to reverse that trend, and make its knowledge and use universal again, but not exclusive. So far it’s being a success, and it has the overwhelming support of the majority of Catalans, those born here, those born outside, and the descendants of those born outside. This does not change the fact that we all know perfect Spanish, and once we’re independent our kids will continue to learn perfect Spanish, because it also is our language. When we hear news from madrid that range from claims that many of us don’t know spanish, to claims that kids who don’t speak catalan are not allowed to go to the toilet, we get pretty angry. What kind of people do you think we are? Well, you tell us every day. You think we are dumb, easily manipulated, selfish, neo-fascists. And you wonder why we want to leave. The EU will allow the accession of Catalonia and Scotland. Their narrative insists on bigger and deeper. A reduction in the EU would contradict that. If the French voted against, they would call another one in a few months until the “right” answer was obtained. I’m sure it’s true that the EU would admit both Scotland and Catalonia to the EU, but it’s correct to point out that the timings and terms of entry would be set by the existing member states, including the two countries both will have rejected. It’s another variable to add to the risks associated with independence. The Scottish debate has also highlighted membership of NATO as an issue – something that’s hardly been talked about in Spain yet. Peter Harvey- you are flat wrong I’m afraid, despite you saying “There is no doubt at all about this”. Scotland has been a member for 40 and will continue to be a member- there is no precedent for a country being ejected from the EU and I doubt very much the EU would in any way attempt to eject it’s largest oil and gas producer and a newly independent country which has stated its desire to work constructively with the EU in contrast to the obstinance of the remainder of the increasingly hostile and irrelevant England & others block. Use some logic before the ridiculous assertions please. Tunnel – Please understand that a point of view is not the same as an insult. Only today Mas said that an independent Catalonia would have “less crisis, less cuts and less protests” (https://twitter.com/ciu/status/269172764072624129) – it’s all part of the illusion that all of Catalonia’s problems stem from Madrid. As for language politics, I applaud the efforts that have been made to ensure that the Catalan language thrives. However, that battle is basically now won and further moves to restrict freedom of language are not only illiberal, they will ultimately backfire. The law that says cinemas have to show 50% of their films in Catalan is an example of authoritarian language politics. Why shouldn’t parents have the right to chose which language their children are educated in? Do we really need to have (at least) eight publicly funded television stations in Catalan?